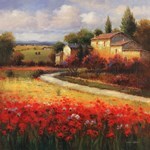 With Italian Art and Prints from FastFramePrints.com you can bring a little bit of Italian flare to your space. 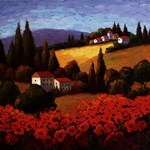 Immerse yourself in the Italian Countryside, take your imagination on a gondola ride through Venice, or reflect on a painting of a Tuscan terrace with an art piece or print from FastFramePrints.com. Whether you want to pay tribute to your Italian roots, bring back memories of an Italian vacation, or simply lose yourself in the beauty of Italian Art, we have a piece for your home! 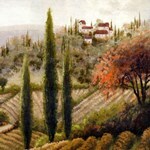 Image Size: 35" x 25"
Italian Art has deep roots and has been the influence to many art movements throughout the world. Italy has been the home to many world renowned artists including Michelangelo, Leonardo Da Vinci, and Donatello. 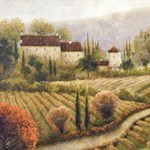 At FastFramePrints.com you can find prints and art that has been featured in the Uffizi Gallery in Florence, the Peggy Guggenheim Collection in Venice, and the Galleria Borghese in Rome. From Roman Art and Italian Renaissance Art to more Modern and Contemporary Art, we have a great selection of Italian Art and Prints for you to shop through today!